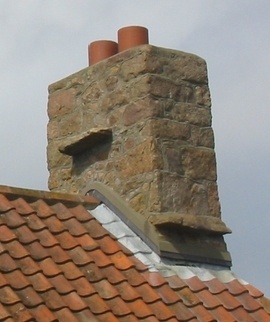 A thin sheet of metal used around the edges and junctions of the roofing material,such as around a chimney or vent, to prevent water from entering the structure through those joints. Galvanized metal has the best strength of any flashing material, but is prone to rust. Galvanized steel flashings are inexpensive and readily available, but they do not last more than about 15 years. In some cases they may even void the warranty on the roof.